5. Its sociability notwithstanding, golf is unusual among competitive sports in that it can be played alone. Teeing off by yourself as the sun is coming up is an intoxicating experience and a good way to settle your mind for whatever lies ahead. Nine holes alone on an uncrowded course in the early evening is as good as a martini at expunging the day’s accumulation of disappointment and regret. Even fifteen minutes on a driving range can transform your outlook—occasionally for the better. My yips don’t yip when no one is watching. My putts don’t leak below the hole. My arms are ribbons and my head keeps still. I stay behind. I don’t come over. By the time the clubhouse comes back into view, I’m pretty sure I’ll never make another bogey. I could beat all the guys who beat me now if I could play them in absentia. 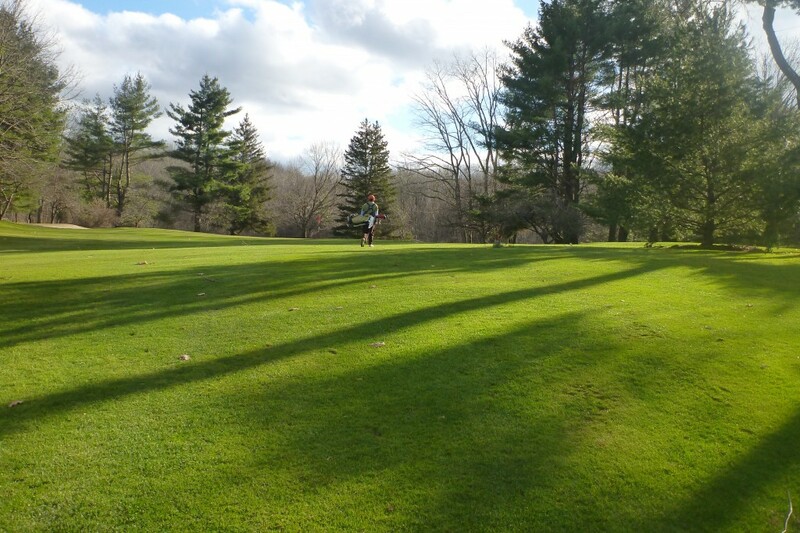 Solo golf is so easy that you shouldn’t have to turn in your scores. It gives you a glimpse of the golfer you might have been and might still be—a player who goes for it in two, slams three-footers against the back of the cup, and always reaches for the driver. When you play alone, your inner self sits down and lets your better self play through. By the time you finish, your swing is back where it’s supposed to be. You can face the world again. Even in a crowd, golf is a solitary contest. Its essence, in the words of Herbert Warren Wind, is “man’s battle against himself.” Maddeningly, many of the problems that plague poor players are exacerbated by their efforts to prevent them. Aiming farther to the left makes the ball fly farther to the right; flexing arm muscles while swinging makes drives weaker, not stronger; trying to swing harder makes the clubhead move more slowly. The paradox of the golf swing is that one begins to gain control of it only by seeming to let it go. The best time to play alone is when the course is alone as well—say, late one afternoon very early in the season, when most of the other members haven’t figured out that the course is open again. The parking lot is almost empty. The pro has gone home. You don’t feel tight, so there’s no need to bend or stretch or even take a practice swing. And you can grab your bag as soon as your ball is in the air: you know where your drive is going to be.